Just cover shipping. Limit 1 per order. Book will be released in June 2015 and will retail for $22 plus shipping. By pre-ordering it now you just cover shipping and handling of $6.97 (for international orders contact me directly by clicking here). Hi, my name is Marc Ryan, L.Ac. and my latest book is hitting the bookstores all over the world. If you pre-order now, you can get a copy for free plus shipping and handling. 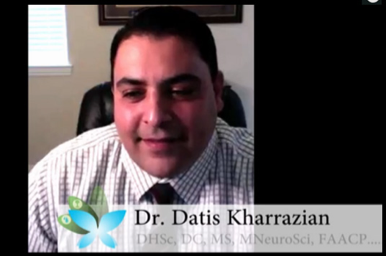 Please read what some of my patients have to say about working with me and about being in my programs. I am very grateful and blessed with all the information that is out there on Hashimoto's, most of all what I found on your site. I am fortunate to work with someone who is so passionate and from whom I learned so much. Knowledge is power. With the knowledge I gained from your program and working with you, I had the power to reclaim my life... for the first time in my adult life my serum iron levels are within normal ranges. I just came home from the cardiologist, got tested and received a clean bill of health. Yep, he said that everything with my heart is normal and I don't need to come back! This, after continual Afibbs and suggestion of beta blockers, blood thinners and possible ablation (going into my heart to desensitize trigger tissue). Marc, your course influenced me and gave me courage to walk your talk. I can't thank you enough for your help in turning my life around. What a fabulous program....I just love it! It is the first time in my life that I have really invested the time and energy in taking care of ME!!! !…I love my new life! I even purchased a bicycle! I hadn't ridden a bike for about 30+ years! Having a blast with it. Everything is more fun and I feel like I have a new lease on life. Of course, we can’t promise you’ll get the exact same results because we don’t know what your issues are or whether or not you will follow through on what we teach. Please answer this question and be brutally honest with yourself. Are you searching for the one trick, the magic pill, or that one more bit of information that will get you over the edge into recovering your life, getting your energy, motivation and sense of joy back into your life? The problem is, most “tricks” are nonsense and there is no magic pill or single bit of information that’s going to magically heal you. Hashimoto’s is WAY MORE than a thyroid problem. It is a progressive disease and as it progresses it starts to affect many different systems of your body. It becomes an all over your body problem. Having Hashimoto’s is like being the single parent of a large dysfunctional family. You’re the single parent because if you are like most of the people surfing the web and seeking me out for help, you do not have a doctor or practitioner who really understands the complexity and multi-system nature of this disease. You are on your own, for all intents and purposes. So you have to figure it out, all by yourself, and you have to do it with a house full of sick kids. And your sick kids are all the organ systems that are being impacted. Like the intestines, the stomach, the liver, the brain, the adrenal glands, the gall bladder, the pancreas, the thyroid, the heart and on and on. You can’t heal a family by only treating one child. Or even just 2 children. Most doctors and practitioners are focused on managing the thyroid and little else. And for the vast majority of people, this just doesn’t work. Or it’s so inadequate an approach that they don’t really get any better and they certainly don’t feel any better. This new book, Road Map to Remission, is your first step to solving this puzzle. When you have all these systems breaking down, you wind up feeling so badly because vicious cycles are created. And each of these systems starts making the other systems worse, too. You get a downward spiral of worse and worse. This is called positive feedback. It happens because things are repeating over and over again and your body is reinforcing the results. And in this case, it really isn’t positive at all. It’s a pretty negative result. But when you start healing all the different parts of your body, then you start to use this positive feedback to your advantage and you develop positive healing momentum. And unlike everything else on the internet, this is something that is true today and it isn’t going to change tomorrow. It’s a fundamental law of nature. It will always work in your favor. You just need to figure out how to make that happen. If you’re tired of trying, trying, trying...then this approach is your secret to success. I’ve seen it work in hundreds of people’s lives. But don’t get me wrong, this isn’t simple or easy. And I’m not hawking some new organic compound that was grown in the Himalayas by yak farmers. It’s very complicated and there are a ton of variables. ...then YOU TOO, CAN RECOVER YOUR LIFE! No matter how far down the rabbit hole you have gone. I have had the opportunity to work with over 1,000 people (and counting) with Hashimoto’s, I have poured over hundreds and hundreds of research studies and I and my daughter live with this every day. Poured knowledge and clinical experience into it and created some really superb bonuses. And I’m offering it to you for free (for a limited time). ...make GREAT patients and customers, months and years into the future. ...have confirmed for me that this approach is working for them. This is a movement, people! It’s not a fad or a trend. 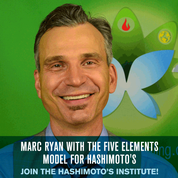 It’s an entirely new way of approaching healing Hashimoto’s. I have never felt better than I do now and it is all thanks to Marc and the team at Hashimoto’s Healing. Marc has instilled knowledge in me that will stay with me for a lifetime. I am on a road to recovery and have noticed vast changes in my body. I am no longer experiencing pain, fatigue, and the feeling of being bloated all the time. I have more energy, don’t need naps throughout the day and I have even lost some weight! I now eat a lot healthier, and I am eating foods that are good for my Hashimoto’s. I have full control over my body and my mood has changed drastically. Pre-order this book right now, while it is being offered for free. And take advantage of the amazing free bonuses. And, most important of all, start taking action on what you learn. I have a vision for you and that is that you will become one of the 10,000 that I am committed to help get their Hashimoto’s into remission. So get to it and sign up before this offer is gone.